Ridgefield scouts Lucy Briody, Allie Caruso, Juliana Waite and Lauren Ahearn from troop 50657 earned their Girl Scout Silver award for educating the public on Lyme disease prevention, working under the auspices of the Ridgefield Health Department, directed by Jennifer Reid, program coordinator of BLAST. Troop leader Terese Waite encouraged the girls to focus on Lyme disease because of a troop members personal experience. Educating children at the Boys & Girls Club, Parks and Recreation summer camp counselors, and Kid Fest attendees were just a few of their many activities. 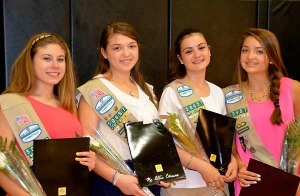 Girl Scout troop 50657 members Lauren Ahearn, Lucy Briody, Allie Caruso and Julianna Waite have been hard at work on their Girl Scout Silver Award, educating the public about the severity of Lyme disease and how to stay protected. The Silver Award is the highest award for Girl Scouts in grades 7 to 9 requiring 50 hours of community service. During their project Jennifer Reid, head of the BLAST Lyme Disease Prevention Program at the Ridgefield Health Department, assisted them. The girls attended a wide variety of health fairs, visited Founder's Hall to educate the seniors and taught children at the Boys and Girls Club and Westmoreland swim meets how to avoid Lyme disease. Led by troop leader Terese Waite, the girls have reached hundreds of community members with their prevention message since starting the project in March. 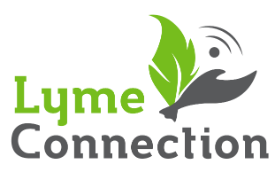 Lyme disease is the most widespread tickborne disease in Connecticut. The disease can only be spread by a tick bite and not all ticks carry Lyme. Symptoms include muscle and joint aches, often an expanding "bull's eye" type rash, and flu-like symptoms. However, Lyme disease is very preventable. By following the acronym BLAST everyone can stay protected. B stands for bathe or shower shortly before coming indoors. Ticks spend a couple hours settling before beginning to feed. By doing this you may be rinsing off ticks that have not yet gotten a chance to feed. L stands for looking for attached ticks and rashes everyday. Ticks should be removed with fine tipped tweezers using steady pressure. Then, it is recommended to take engorged ticks to the Health Department where they will send the tick to be tested for Lyme. Not everyone with Lyme has an expanding rash, however if you do see an expanding rash you have likely contacted Lyme disease and you should see your physician immediately. The letter A stands for apply repellant. While many people dislike the use of chemicals they are proven to be very effective. The American Academy of Pediatrics recommends repellants containing up to 30% DEET for children over 2 months of age. Natural products are available but they are not as effective against ticks. The S stands for spray your yard. This can result in up to an 85 to 90 % reduction in blacklegged tick populations. The letter T stands for treat your pet. Pet owners should speak with their veterinarian to determine the right prevention steps for them. Also, pets should never sleep in your bed as the tick may move from the animal on to a family member. For more information on Lyme disease prevention, please contact the Ridgefield Health Department at 203-431-2745.